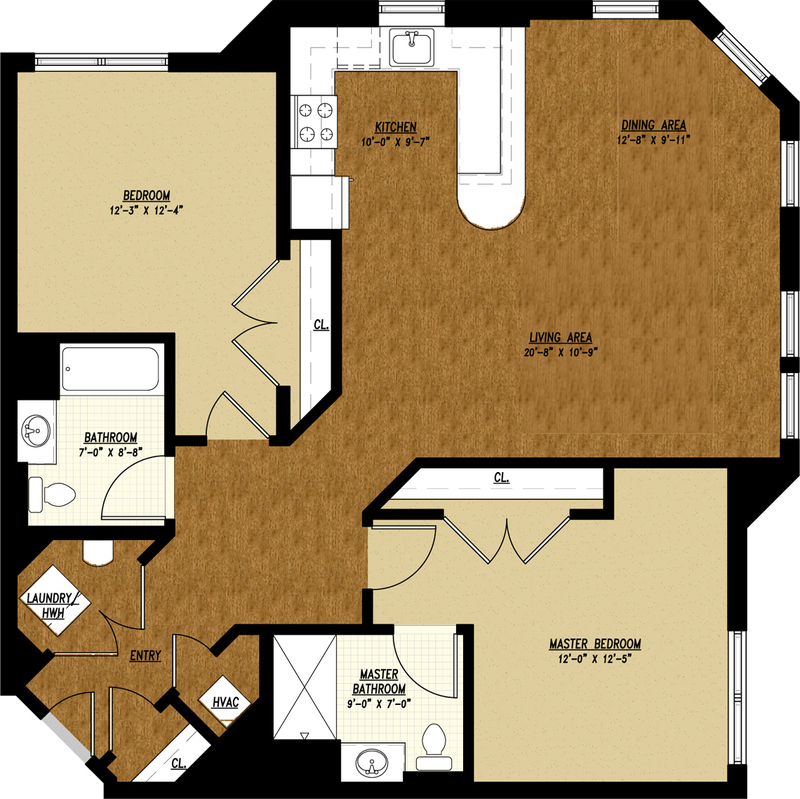 Featuring two bedrooms, two baths and 1,209 sq. ft. of living space, this apartment offers plenty of room for gathering and relaxing. The master bedroom includes an en-suite bath, the living and dining area flow seamlessly for ample space and a beautiful kitchen offers quartz countertops, a gas cooktop, stainless steel sink, custom kitchen cabinets, subway tile backsplash and Whirlpool™ stainless-steel appliances. The apartment also features accent walls in both the living room and bedroom, as well as nine-foot ceilings and stylish plank flooring in entry foyer, kitchen and laundry room. 2 Bedrooms 2 Baths Square Footage: 1,209 sq. ft.